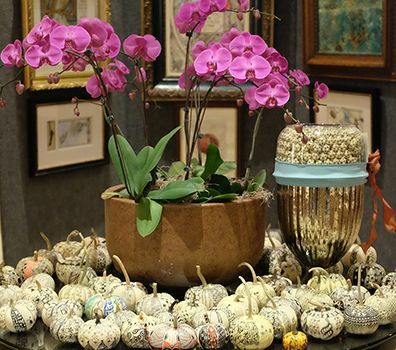 We are thrilled to introduce to you another wonderful group of people from near and far who attended our sixteenth Certified Zentangle Training in Providence, Rhode Island in October 2014. Welcome CZT Class XVI ! 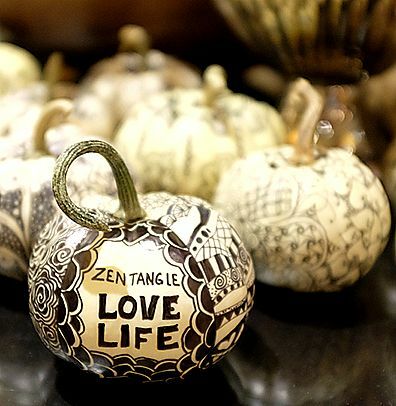 We are grateful that the Zentangle phenomenon of attracting wonderful people to seminar continues uninterrupted. It is so exciting and rewarding to meet and get to know new friends. 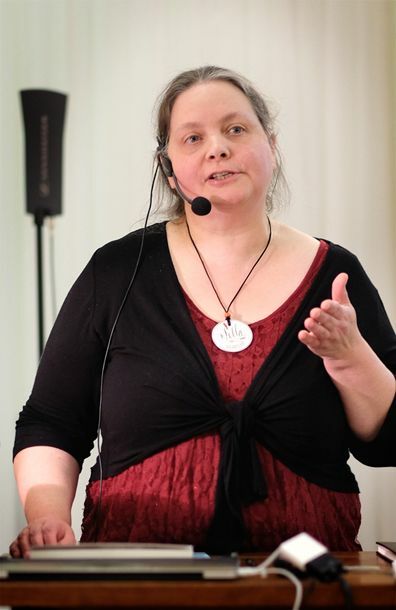 We were honored to have Jella Verelst, CZT from Belgium, return and speak about her Zentangle journey. Jella attended our very first CZT seminar in February, 2009, and we have remained friends ever since. 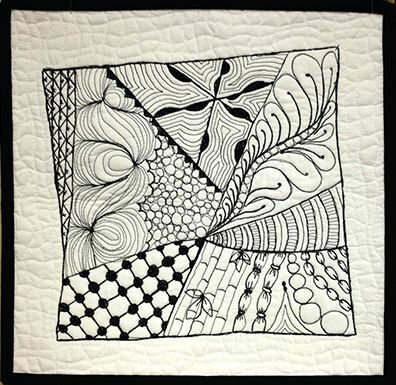 Jella maintains a studio where she gives Zentangle classes and supports her students' ongoing Zentangle practice. 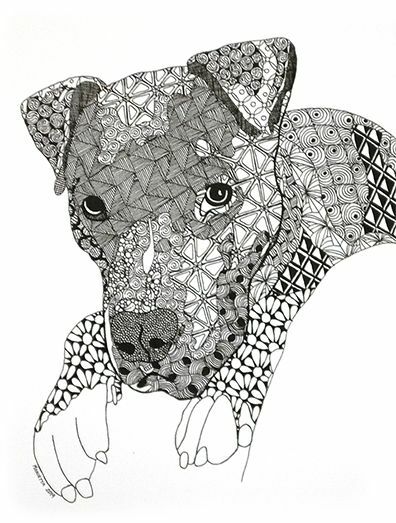 Some of her students have been practicing the Zentangle Method with Jella for over five years. 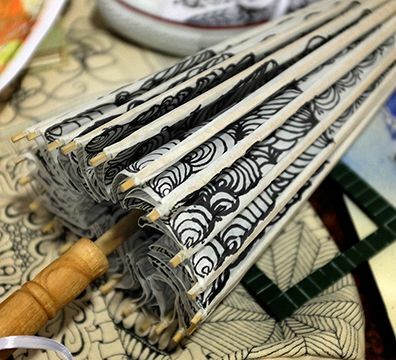 Jella's website is PaperArtStudio. Although her website is in Dutch, she is fluent in several other languages including English. We often speak of CZTs as translators who convey the Zentangle Method into worlds and languages and communities that we would never meet or even know about. Jella is a delightful example of this metaphor. Thank you, Jella, for coming to Providence and sharing your insights and experiences. We have created this companion blog post so that you can enjoy larger images of these pictures. 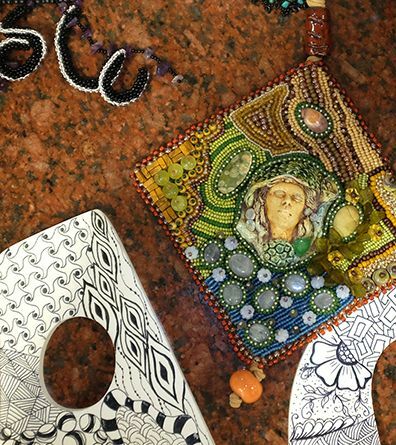 We are doing a "Zentangle Weekend with Rick and Maria" at the Kripalu Center for Yoga and Health in Western Massachusetts on February 6 through 8. This is an amazing facility with world class healthy food, yoga classes, hot tubs, and beautiful countryside . . . even in February! This is a fun weekend with total focus, immersion in tangling - black ink on white square tiles. Our daughters, Molly and Martha will be there also. 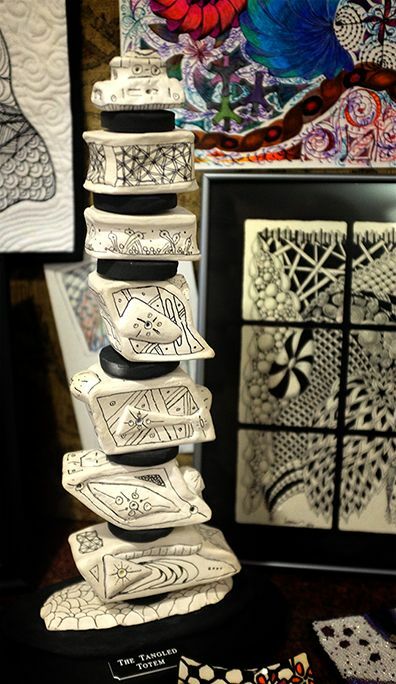 We all have great opportunities for interaction and exploring the wonders of all things Zentangle. If you are interested in attending a CZT seminar in 2015, visit this link. We look forward to all the adventures that this year offers. Thank you for enjoying them with us!